Jakarta (ANTARA News) – Indonesia will continue to provide various aid to refugees, who have fled from Rakhine, Myanmar, to live in Bangladesh, as noted in a written statement from the Indonesian Embassy in Dhaka, received here on Monday. Indonesia has continuously provided humanitarian assistance to those refugees since their exodus from Rakhine to Bangladesh on August 25, 2017. 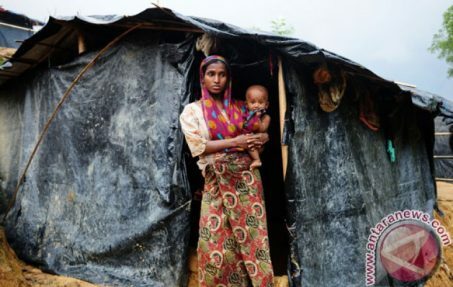 A year after the exodus of refugees from Rakhine State, more than 700 thousand people are still living in refugee camps at Cox`s Bazar, Bangladesh. According to records of the Indonesian Embassy in Dhaka, some Rp18 billion of Indonesian humanitarian assistance was provided through the Indonesian Humanitarian Alliance, a combination of 11 humanitarian institutions until September 2018 in the form of refugee shelters, medical personnel, mobile clinics and ambulance cars, food and education assistance, and worship facilities. However, the Indonesian government has also separately provided assistance to refugees through the Bangladeshi government. The assistance provided includes 74 tons of food, clothing, and medicines delivered eight times. After a year of the commemoration of the humanitarian tragedy in Rakhine State, Indonesia`s humanitarian aid continues to flow, mainly in the form of healthcare assistance. Indonesia is one of the countries that responded quickly to the crisis. Three months after the massive exodus of ethnic Rohingyas from Rakhine to Bangladesh, Indonesia built an emergency hospital at the Rohingya refugee camp in Jamtoli, Cox`s Bazar, Bangladesh. At least 30 thousand refugees have received health services from the Indonesian hospital. Since the establishment of the hospital in November 2017, Indonesian humanitarian workers have been directly involved in the operation of the health service center. 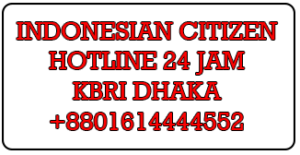 The Indonesian Embassy in Dhaka has regularly monitored the flow of all Indonesian humanitarian assistance for Rohingyas in refugee camps in the Jamtoli region, Cox`s Bazar. Based on data compiled by UNICEF, out of 700 thousand Rohingya refugees living in Bangladesh, 350 thousand are children.